How candidates can best prepare for and secure a professional opportunity. Our "official" program on Wednesday, November 16, 2016, will be led by Kareemah A. Woodard, MBA, Director, Executive Consulting, Randstad Professionals, Finance & Accounting. Randstad provides staffing and business solutions to organizations around the world. The Randstad team of experts matches professionals with available career opportunities in a variety of fields. The topic of the evening, executive recruiting and consulting, focuses on how candidates can best prepare themselves for and secure a professional opportunity. Ms. Woodard assists companies and organizations in defining their needs using a consultative approach. It is an interesting process, providing on point candidates for consideration by client companies. The assignments may be temporary or have a temporary to permanent possibility. It is helpful for professionals and potential candidates to consider various perspectives and market their credentials to meet the needs of employers. Key skills including listening, critical thinking, research, analysis and communication as a team member. The session concludes with a question and answers period. 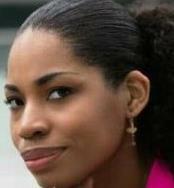 Ms. Woodard specializes in Strategic Resource Planning and Business Development. Her career includes a background in analytics and business system development to optimize marketing and sales processes and guide strategic planning. She has also served in internal audit and advisory capacities, developing strategies to monitor key business areas and risks associated with operational effectiveness, compliance, and financial impacts.